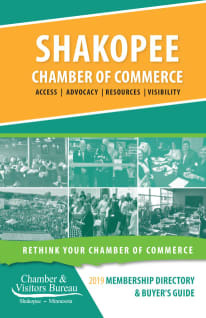 The Shakopee Chamber & Visitors Bureau hosts their Chamber Annual Meeting to recap the success of the previous year. You are invited to join the Chamber and its members on Thursday, January 24, 2018 at Canterbury Park. For more information on tickets and sponsorships, please contact Courtney Peterson.